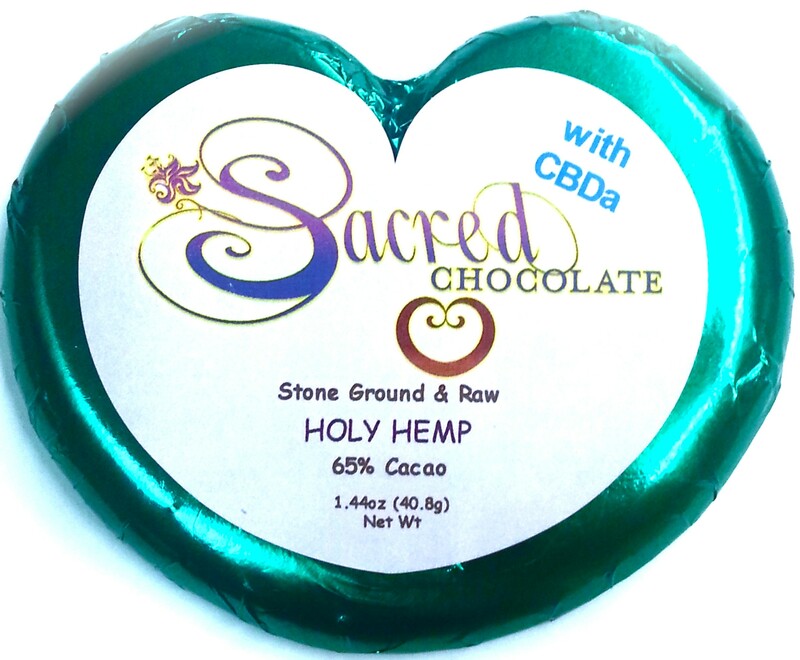 Holy Hemp includes whole hemp seed as inclusions in the chocolate plus salt sprinkled on top! 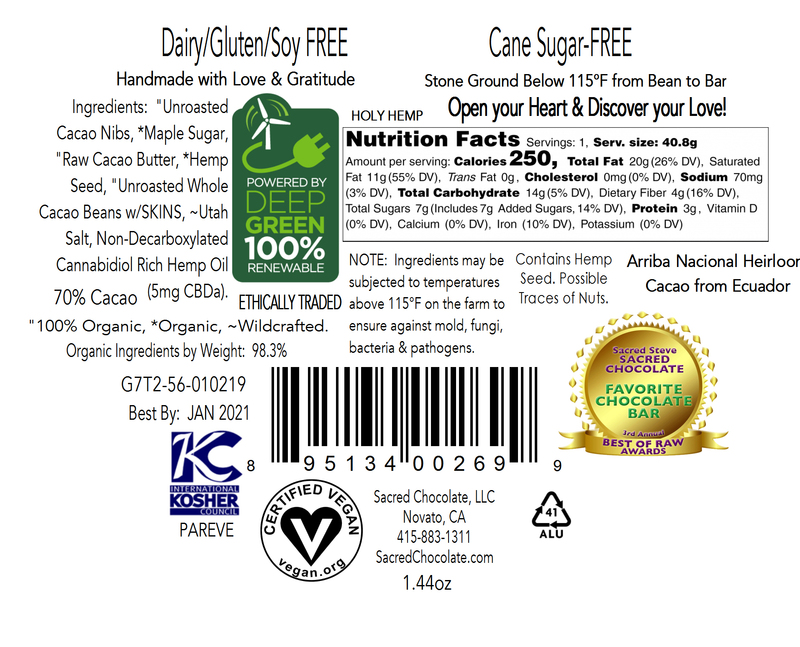 "Unroasted Cacao Nibs, *Maple Sugar, "Raw Cacao Butter, *Raw Hemp Seed, "Unroasted Whole Cacao Beans with SKINS, ~Utah Salt, Non-Decarboxylated Cannabidiol Rich Hemp Oil (5mg CBDa). Produced in a Facility that also Processes Nuts. Contains Hemp Seed. Note: This bar has not yet been certified organic by CCOF. However, we are using the same organic ingredients that are being used in our certified organic bars.